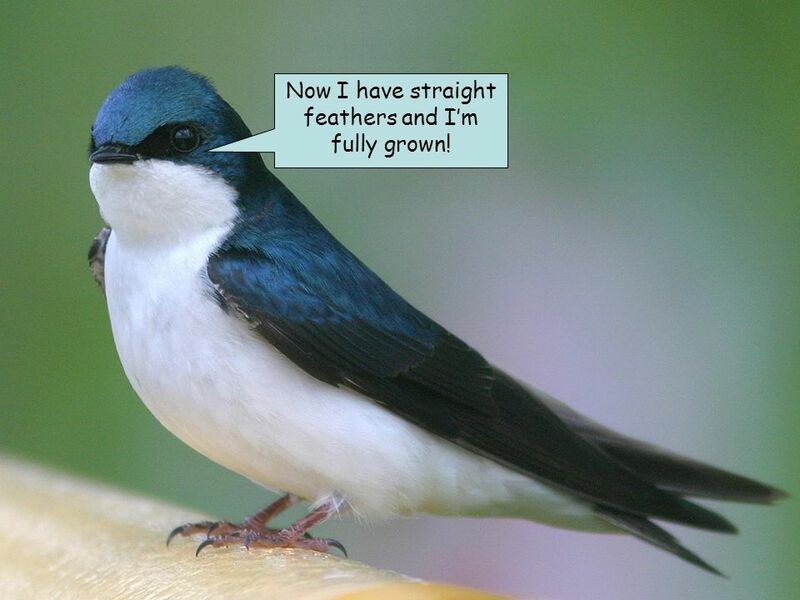 The life of Sammy the swallow Written by Corey and Kelvin Hi I'm Sammy the swallow. 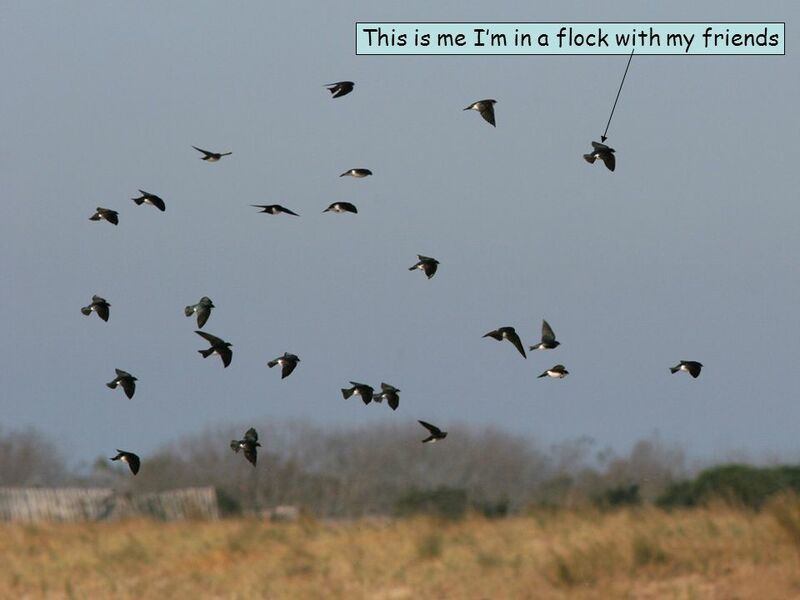 Remember to spot the mini Sammy the swallow on each page. 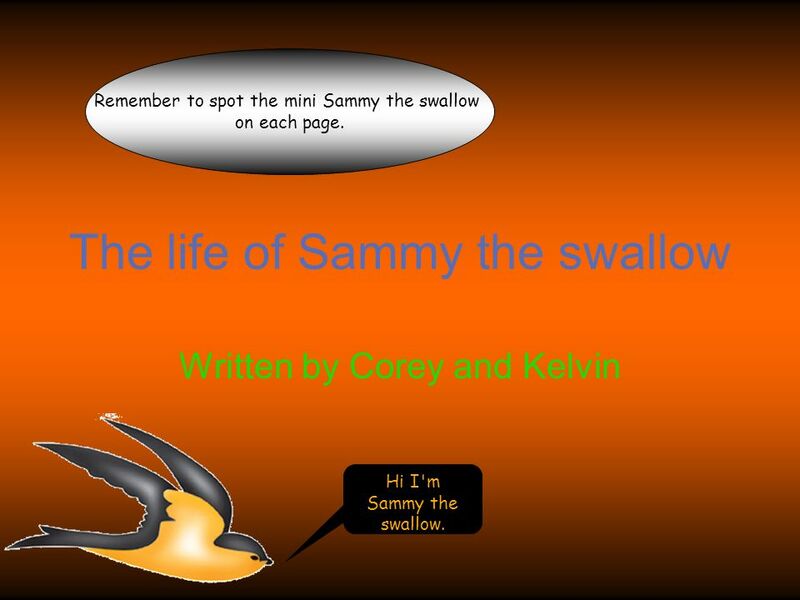 1 The life of Sammy the swallow Written by Corey and Kelvin Hi I'm Sammy the swallow. Remember to spot the mini Sammy the swallow on each page. 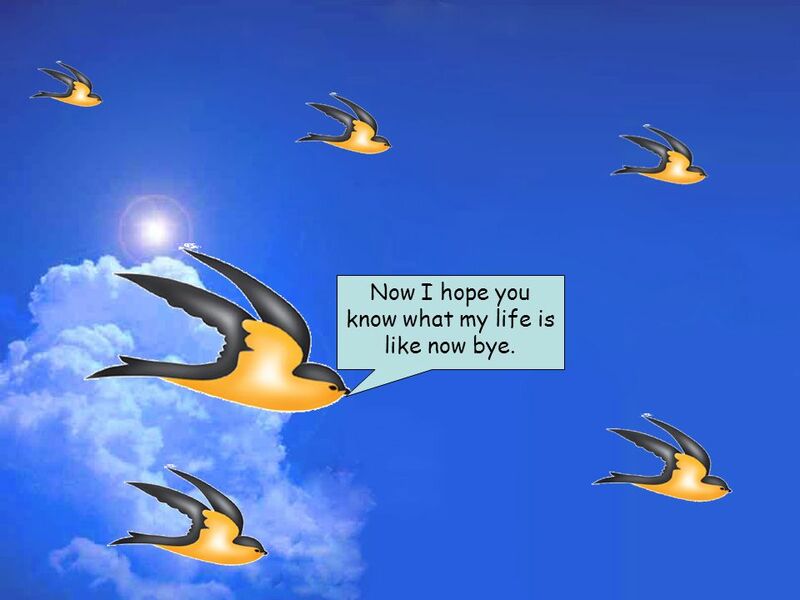 2 Hi my name is Sammy the swallow I am going to tell you about my life. 3 I live pretty much everywhere!!!!! 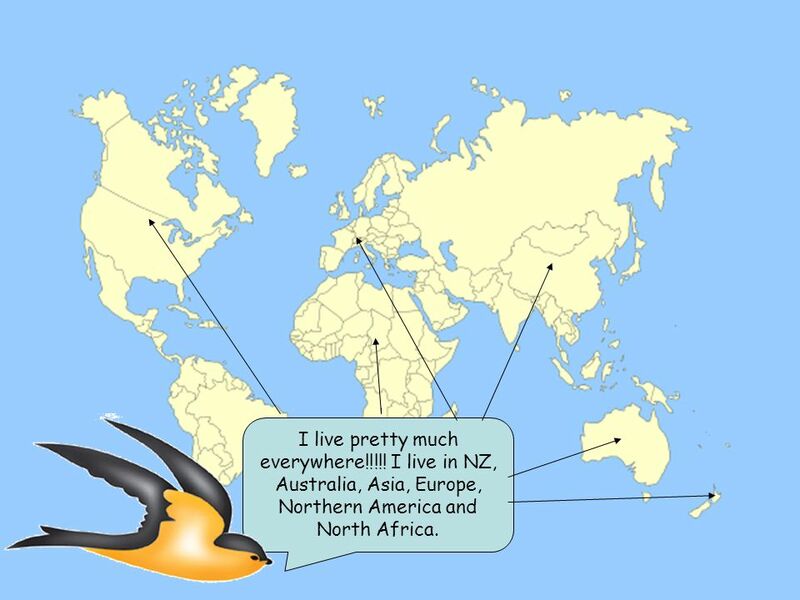 I live in NZ, Australia, Asia, Europe, Northern America and North Africa. 4 This me as an egg! 5 This is me as a baby. 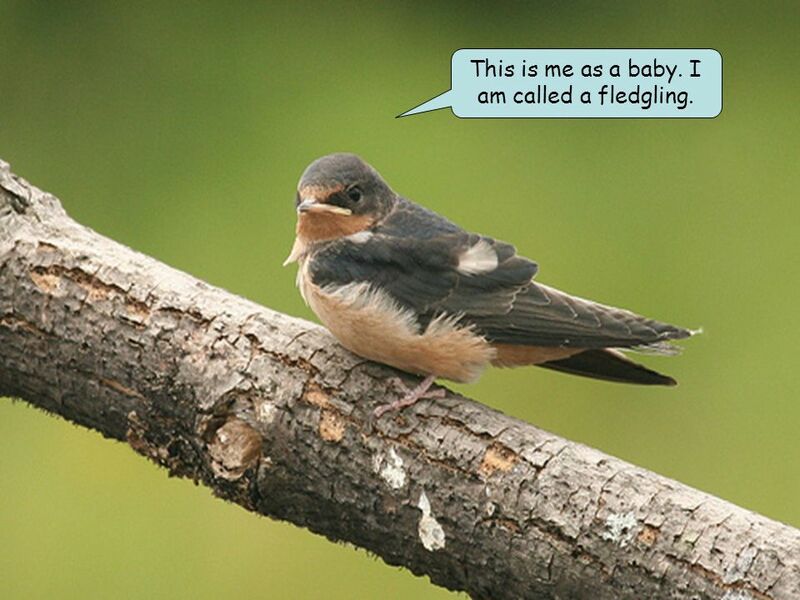 I am called a fledgling. 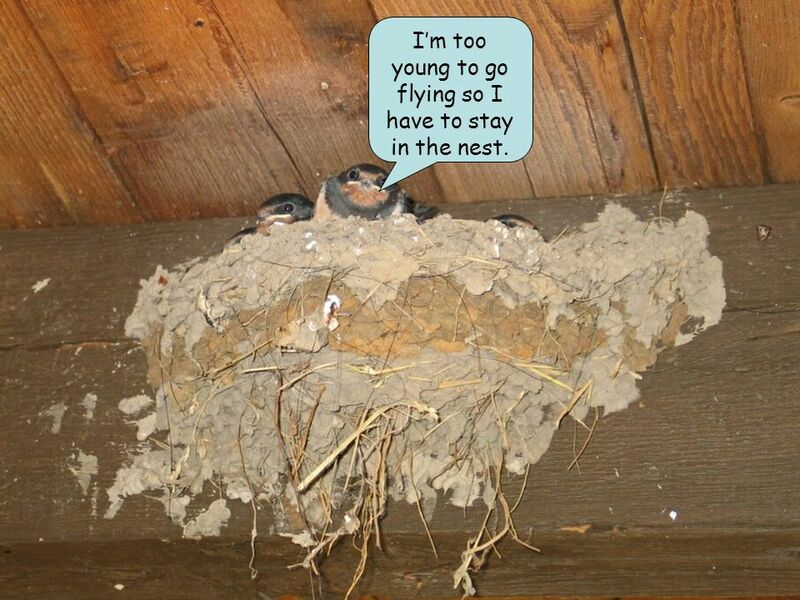 6 Im too young to go flying so I have to stay in the nest. 7 Now I have straight feathers and Im fully grown! 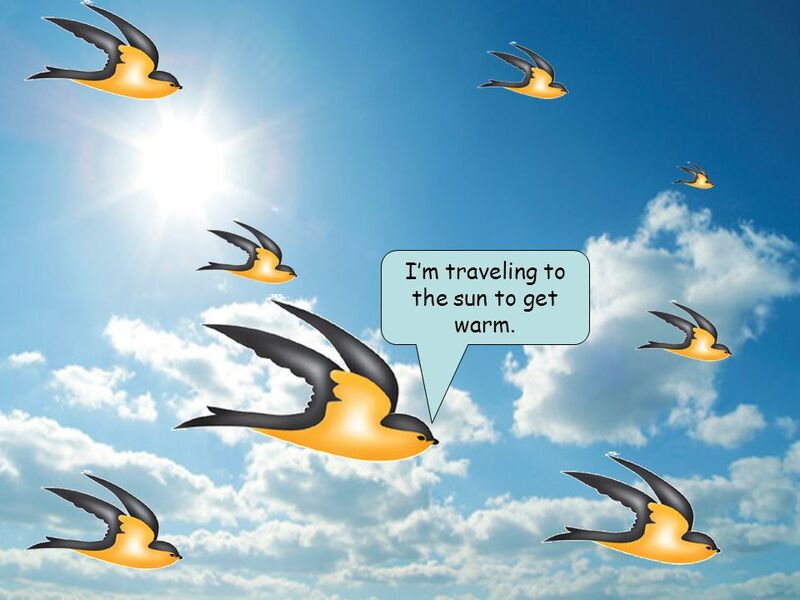 9 Im traveling to the sun to get warm. 10 Whew, Im tired. Ive been flying for miles and miles so Im going to rest in the sun. 11 Now I hope you know what my life is like now bye. 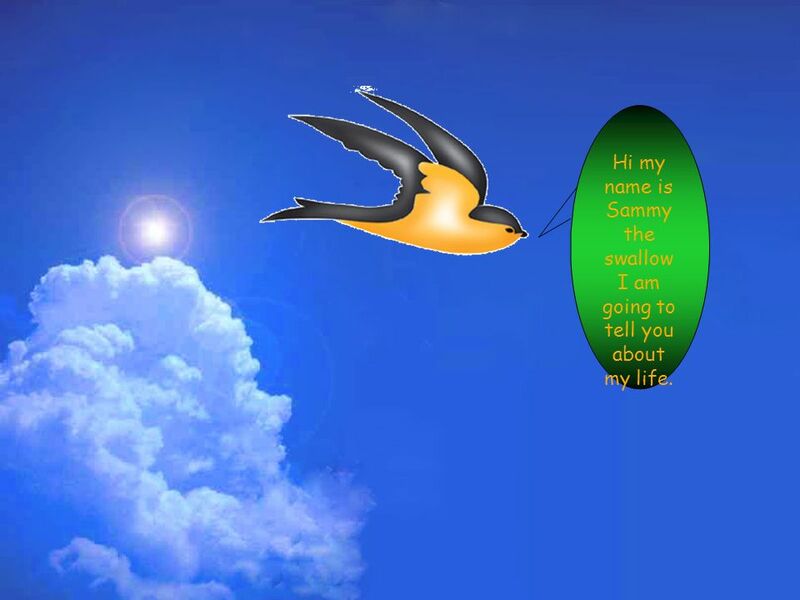 Download ppt "The life of Sammy the swallow Written by Corey and Kelvin Hi I'm Sammy the swallow. 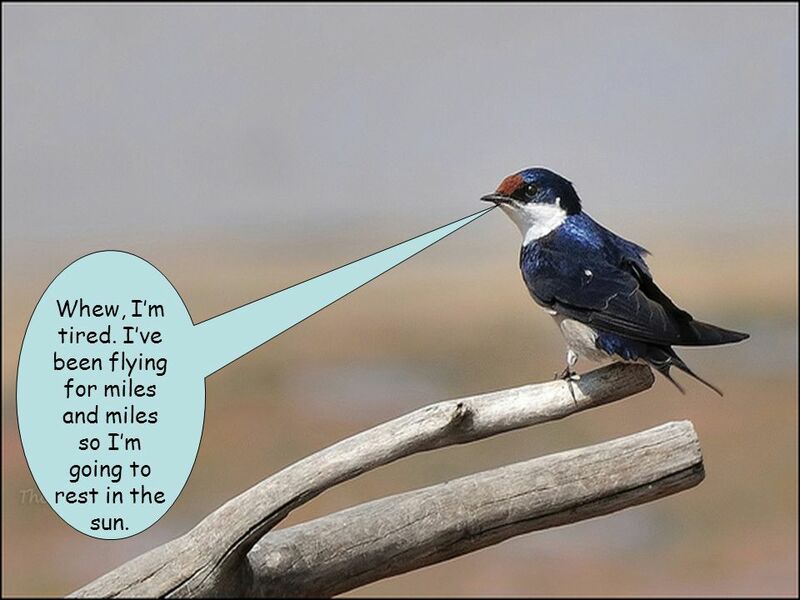 Remember to spot the mini Sammy the swallow on each page." What in the world are we learning about today? Text-to-World Connections with the book: THE THREE CUPS OF TEA By Greg Mortenson and David Oliver Relin. We are starting a new unit today! Snakes By Shayne Snake facts Snakes are reptiles. There are about 3000 species of snakes in the world. And 375 of them are venomous. A presentation by Asher and Raven. The first known existence of turtles is about 200 million years ago. Turtles are reptiles. Turtles lay their eggs on. Lesson - 11 Who is Clever ? 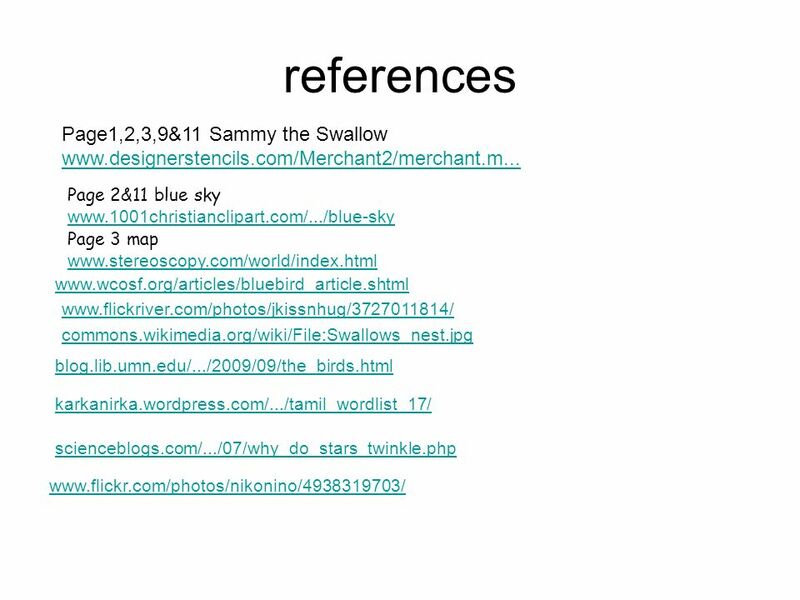 Page 52 exercises Presentation….by C.P. Ranjith – K.V. Keltron Nagar. Magnetospheres By Peter Faiman Like a boss. What is a Magnetosphere? Magnetic field around a planet, typically generated by an active metalic core Protects. My World and I By Alicia Castaneda. Where do you live? I live in my house. My address is Dapple Drive. Army ants of the Amazon This short presentation was created to provide educators and students information to enhance learning about this subject. Linda. Prototyping for Richer User Experiences Chris Griffith Qualcomm, Inc. User Experience Group. Theme 2 What if you could fly? What if you could fly, if you had wings on your back and your home was on top of a tree? Would that be thrilling or scary? Time To Fly The babies fledge when they are 16 to 20 days old. 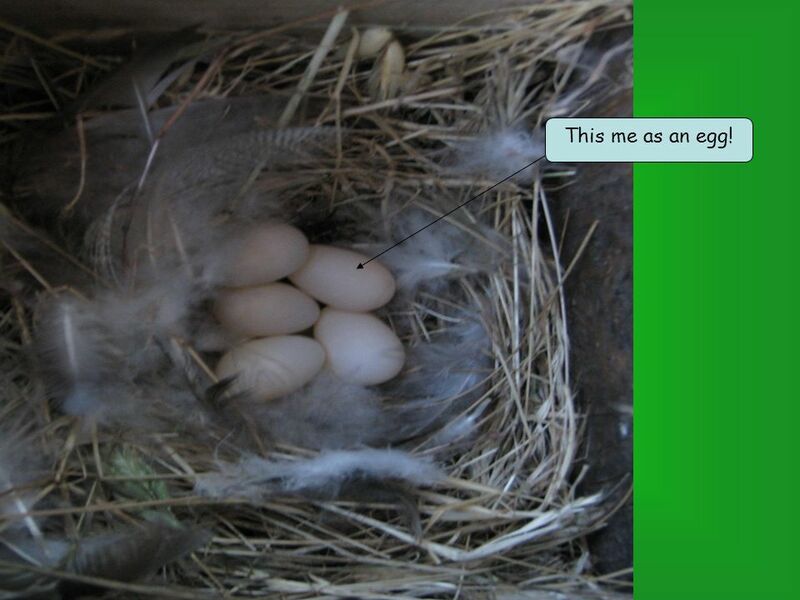 They will not return to the nest after their first flight. Monitors don’t open a box after. Teaching poetry with the K’s.. The chart for the spring facts. Creation. Tell me at the end Most You will be able to remember what happened on 4 days Some You will be to remember what happened on 7 days.